Comforting dishes tend to be heavy and it’s always my mission to lighten a heavy dish up so that I can still feel great after eating it. Such is the case with this soup. I am absolutely in love with these dumplings. They are tender, airy and not doughy or leaden. 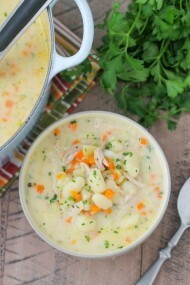 Chicken broth and butter give them so much flavor. It’s a recipe from Food network TV host, Alton Brown, who I think is brilliant. I enjoy watching his shows because I learn so much about food and different cooking techniques. My favorite kind of cooking shows are when I can learn ways to implement ingredients and concepts into my own kitchen. 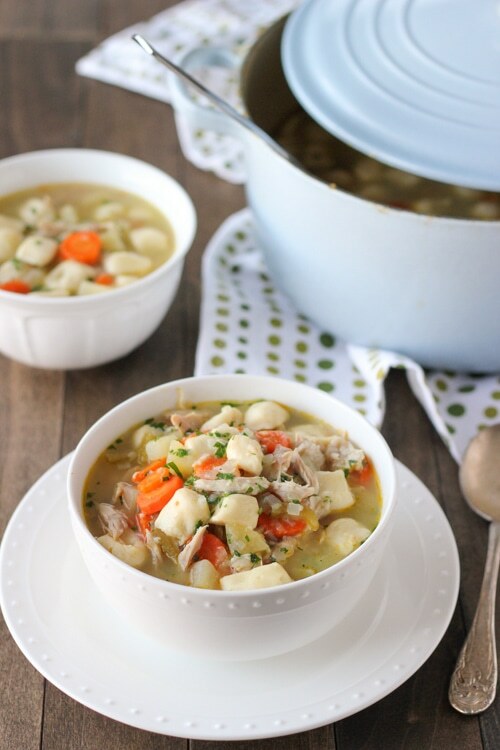 The soup is my own variation of chicken soup that I think complements the dumplings so well. 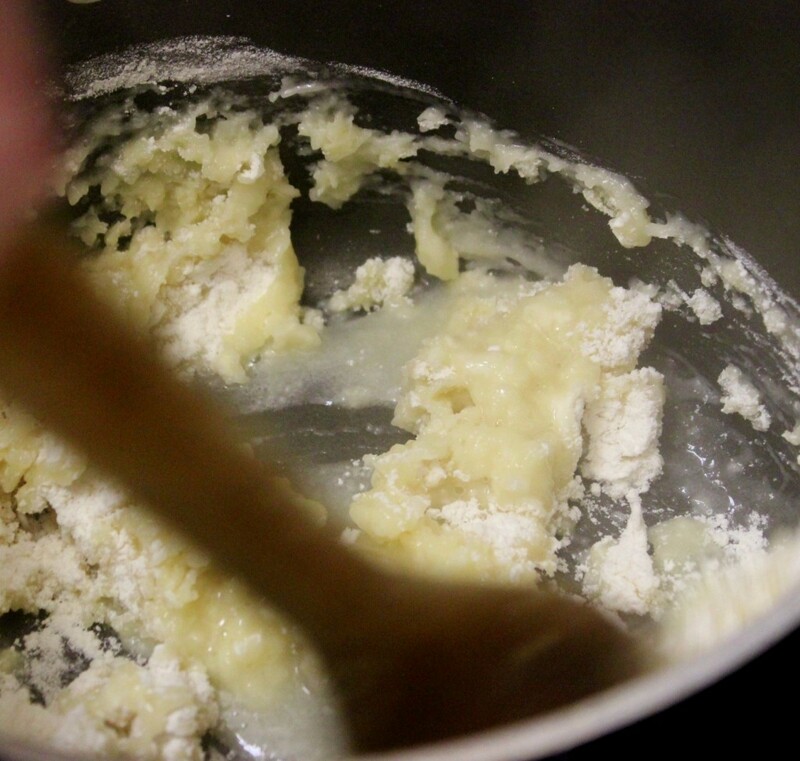 Melt 2 Tablespoons of butter in pot over medium heat, add onions, season with salt and cook until soft, 3-5 min. Add carrots and celery, season with salt cook until soft, about another 3 min. Add garlic and thyme, cook until fragrant, about 1 min. At this point you can add the potatoes if you are using them. Traditionally, potatoes are not added to Chicken and Dumplings, but I love my potatoes, so I usually add some. Stir in the flour and cook for about 3 min, until all the flour is incorporated into the vegetables. Whisk in the wine and the chicken broth. Simmer until the carrots are cooked through. Discard the thyme sprigs. I like a lot of dumplings in this soup. 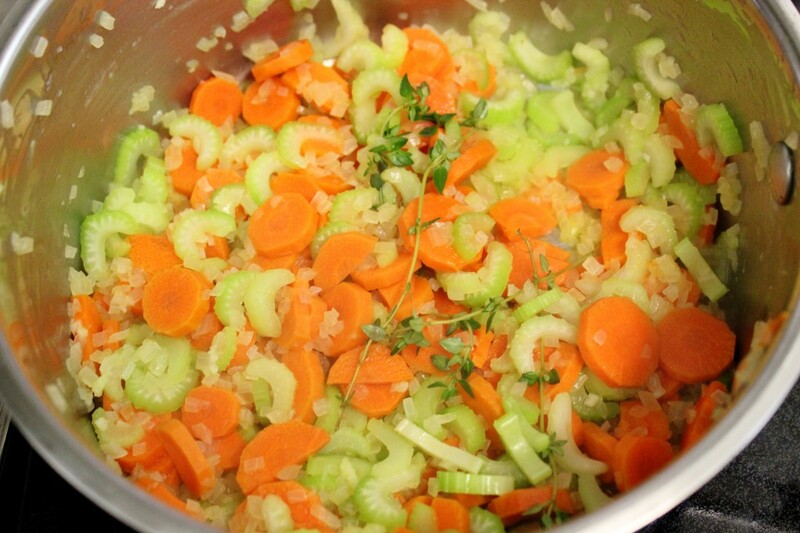 If you like your soups on the thinner side, halve the recipe. Bring broth, butter and salt to a boil. As soon as it boils, add the flour all at once and stir with a wooden spoon until the mixture starts to come together, approximately 1 min. 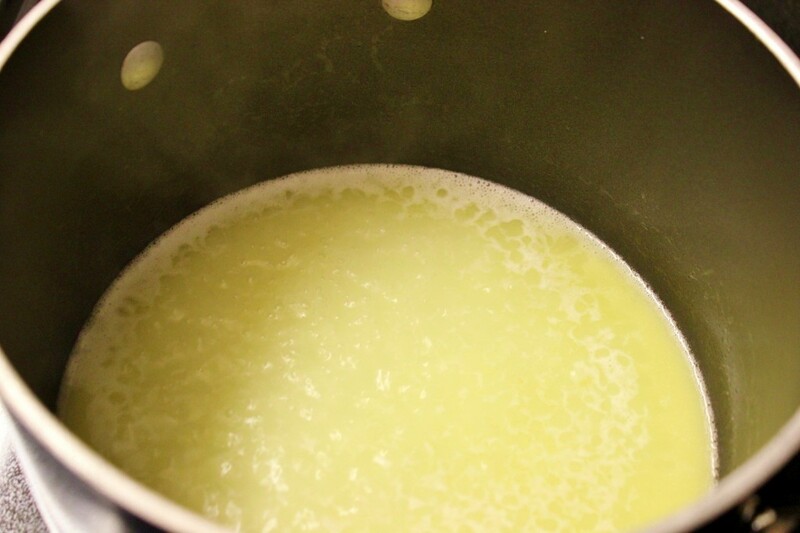 Decrease the heat to low and continue stirring until mixture forms a ball and is no longer sticky, approximately 3 min. Transfer to a bowl and mix for 3-5 min, until it’s no longer steaming. Add eggs, one at a time. 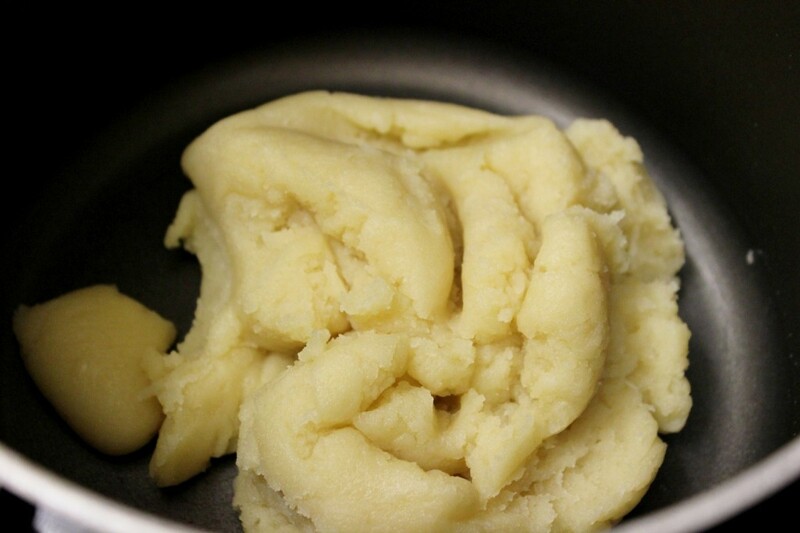 Place the dumpling dough into a ziplock bag and snip off a corner. Bring the soup to a slight simmer over medium heat. Pipe the mixture and cut about 1 1/2 inch in length with scissors directly over broth, making sure that the soup is simmering the whole time. If the dumplings start to stick together, gently shake the pot and as the broth washes over the dumplings it will jostle them free and prevent them from sticking together. Cook, covered, until the dumplings are cooked through, about 8-10 min. Turn off the heat, add meat and garnish with fresh parsley. I usually have chicken broth in the freezer that I can use. Before I start cooking the soup, I place 2-4 chicken drumsticks in a small pot with 1 small onion, 1 smashed garlic clove, 1 dry bay leaf and 3 peppercorns and cover it with water. Season to taste with salt. Cook, skimming off the impurities from the top until the chicken is cooked through. Take the meat off the bone and add to the soup at the end. I also strain the broth and add it to the soup. 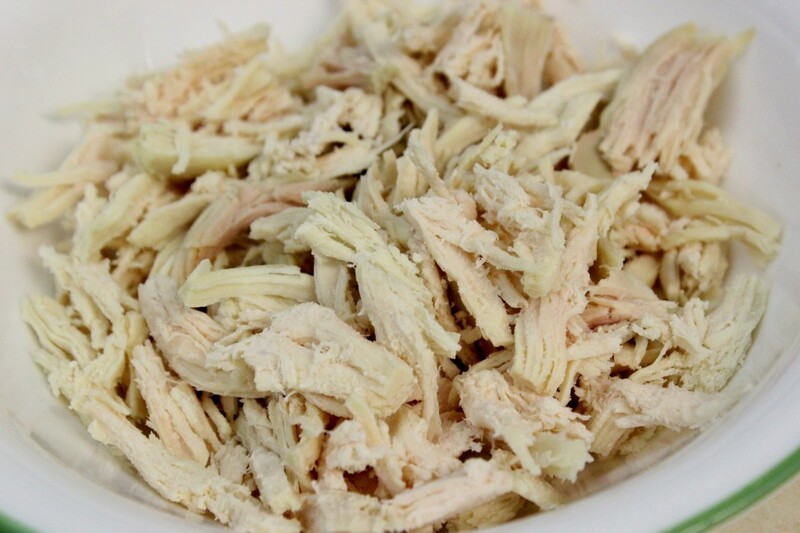 You can also make Chicken Broth from scratch but you will need to cook it longer, so the flavor is more concentrated. Also,when I replenish my chicken broth supply, I reserve the meat and the amount of broth that I need and proceed with the rest of the recipe. 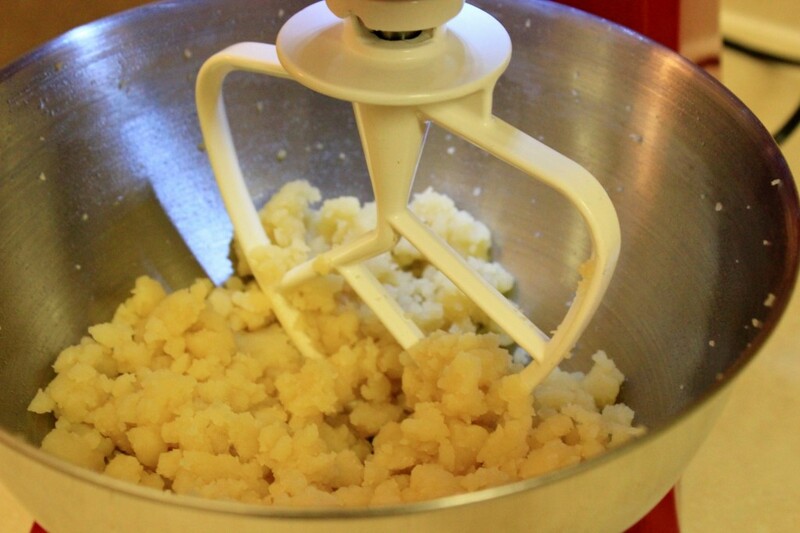 Melt 2 Tablespoons of butter in pot over medium heat, add onions, season with salt and cook until soft, 3-5 min. Add carrots and celery, season with salt cook until soft, about another 3 min. Add garlic and thyme, cook until fragrant, about 1 min. Stir in the flour and cook for about 3 min, until all the flour is incorporated into the vegetables. Whisk in the wine and the chicken broth. Simmer until the carrots are cooked through. Discard the thyme sprigs. Bring broth, butter and salt to a boil. As soon as it boils, add the flour all at once and stir with a wooden spoon until the mixture starts to come together, approximately 1 min. 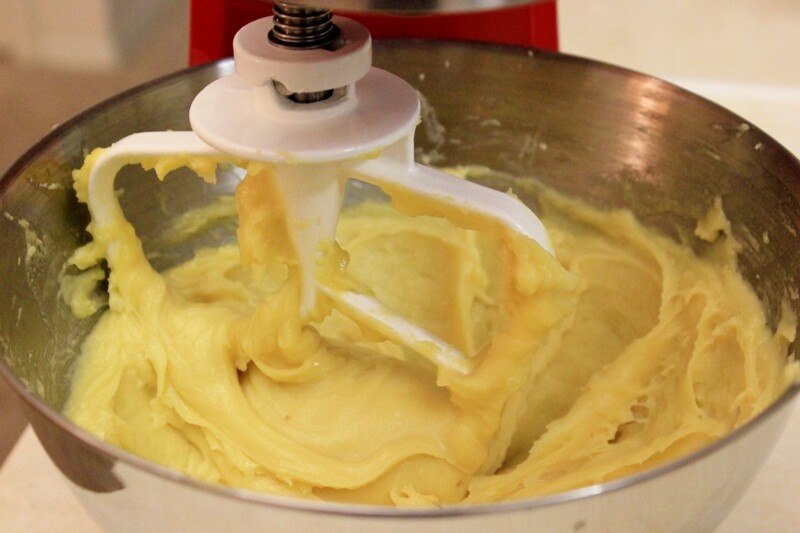 Decrease the heat to low and continue stirring until mixture forms a ball and is no longer sticky, approximately 3 min. Transfer to a bowl and mix for 3-5 min, until it's no longer steaming. Place the dumpling dough into a ziplock bag and snip off a corner. Bring the soup to a slight simmer over medium heat. 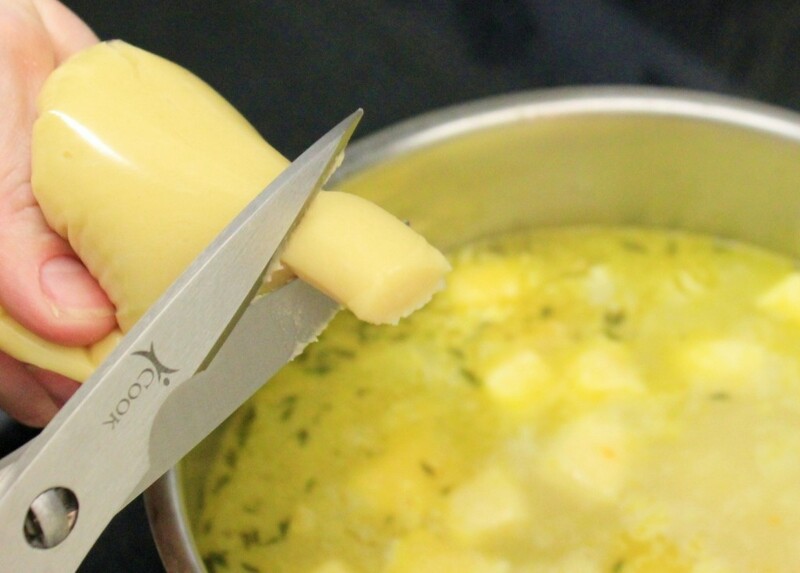 Pipe the mixture and cut about 1½ inch in length with scissors directly over broth, making sure that the soup is simmering the whole time. Cook, covered, until the dumplings are cooked through, about 8-10 min. Turn off the heat, add meat and garnish with fresh parsley. I love me some chicken and dumplings 🙂 Made it last week and my husband and 5 year old son thought it was yummy! It was so easy to make the dumplings, and the chicken broth I made from scratch is a keeper. Thank you for such a great soup. I posted this recipe to pinterest! Hi Olga, I’m doing this recipe right now… what substitute for white wine you would suggest? I have sweet red wine and marsala wine or should i omit white wine? You can just omit the wine, Helen. I’m not sure. Since the texture is exactly how I like it, it’s hard for me to say. I personally think they will be too dense if you add more flour, but maybe you will like it that way. Try it out. Cooking is all about modifying to your liking:). 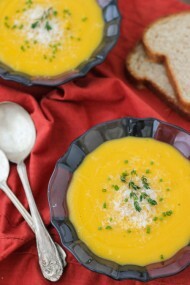 I finally made this soup this past weekend and my family just raved about it. They asked if I would include it on the menu the next time they all come for a visit! Gladly! Thanks for another great recipe. And BTW, your dishes are beautiful. Would you mind sharing what they are. Thanks, and hope you are enjoying your lovely new home. That’s awesome, Georgene! It’s a favorite with my husband and myself. I absolutely love the dumplings. I have no idea what kind of dishes they are. I usually buy different types of dishes at Home Goods, TJMaxx, thrift stores, etc. for the blog. Right now, most of my blogging dishes are still in boxes, so I can’t even look at the bottom of the bowl to tell you:). 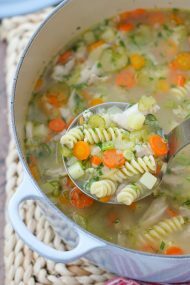 Our family just loves this soup; it’s super delicious, healthy and best of all really easy to make. Thank you for a wonderful recipe! I’m so happy to hear that you are enjoying the soup recipe, Inna. It’s a favorite in our family.